Multi-store retail businesses face a variety of management challenges on a day-to-day basis. Because the stores are geographically dispersed, tracking stock flow and supplies, managing promotions and pricing issues, and analyzing individual store performances as well as predicting future inventory needs can be very challenging. Chain-retailers also need to ensure that customer service expectations are not only met, but they also need to constantly look for ways in which they can surpass customer experiences. A Point-Of-Sale (POS) system is a critical element in retail business operations. 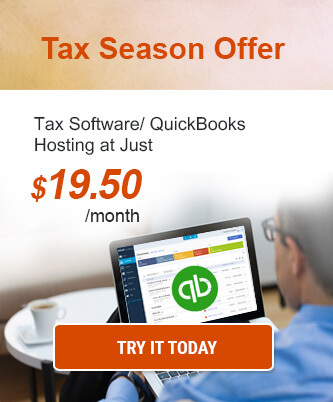 Among the POS software available in the market, QuickBooks POS is the most versatile. 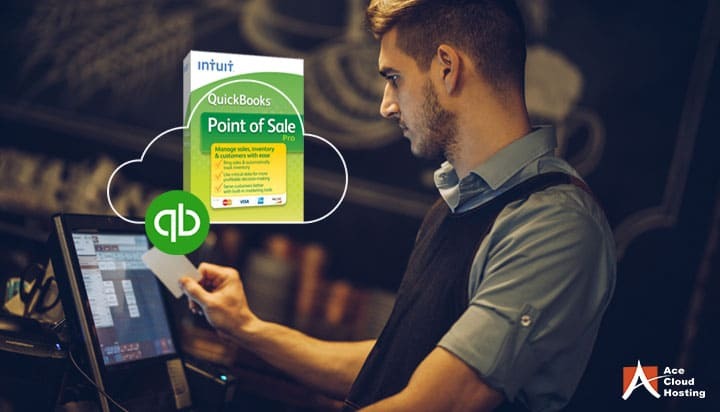 The QuickBooks POS software has been designed to deliver multiple benefits for chain-retailers including multiple payment options and easy syncing of data with QuickBooks, as well as advanced level of data security among other benefits. However, QuickBooks POS hosted on the cloud offers retailers with a more flexible and mobile POS solution. Here are seven major challenges faced by multi-store retailers that QuickBooks POS Online addresses. Inventory management is a huge challenge for any retail business, more so for multi-store retailers. However, with QuickBooks POS Online, not only does inventory updating happen with every single purchase, but you can view the status of the inventory of all your stores simultaneously in real-time. What this means is that you no longer have to track inventory for individual stores or spend time manually syncing inventory for all the stores. Keep in mind that 83% of customers will stop shopping at a store if they find the store is out-of-stock, which is why you need a system that provides you with a 365-degree view of inventory for all your stores in real-time. QuickBooks POS Online makes it easy for you to plan your inventory efficiently across all your stores. If a store is running short on stocks for a particular item, you can divert the stock from a location with surplus stock easily and on time or anticipate demand and restock for different stores in advance. Data synchronization is again a big challenge for multi-store retail brands. You could have stores operating in different locations and time-zones. And some of these locations could have different work hours. If your retail operations run on such diverse locations, syncing all critical data in a timely manner and then analyzing it can prove to be difficult. This also means that you won’t be able to make crucial business decisions on time. By switching to QuickBooks POS Online, this challenge can be easily addressed since the solution supports real-time data synchronization regardless of the time-zone or location of individual stores. This is because the data is stored on remote cloud servers which can be accessed with the help of the internet. During events such as promotions and discount sales or even during the holiday season when foot traffic can peak across stores, you need to have a system capable of faster data processing. One of the main issues with on-premise POS systems is that they often crash if the data volume is very high. As a result, you can end up with a long line of frustrated customers in front of the checkout. With QuickBooks POS Online this will never be an area of worry for you since all data, and the software platform is hosted on highly scalable cloud servers. What this means is that you won’t have to worry about your system crashing due to high data volume anytime ensuring faster checkout across all your stores. Most multi-store retailers introduce certain value-added services into their brand marketing and promotion strategies. These could include offering customer redemption points or sales returns among others. However, implementing and managing these activities for all your stores can be a mammoth task. QuickBooks POS Online, however, allows you to ensure that these value-added services can be managed in a centralized way for all your stores thus adding to your overall brand customer experience. 60% of businesses that experience a cyberattack will fold within six months. The loss of theft of data or even data loss due to tech failure can cripple a business. Which is why data security is the top priority for any retail business. However, securing your data on a local setup by deploying advanced security equipment and protocols can be very expensive. The best way to reduce the risk of data breach or data loss without incurring huge costs is to host all your data on the cloud. Once it is on the cloud, it is the job of your cloud service provider to ensure that your data is secured against any threat. QuickBooks POS Online providers implement multiple security protocols and safeguards including data encryption, multi-factor authentication, Intrusion Prevention & Detection System (IPS & IDS), access control systems, and advanced firewalls across multiple levels. And because QuickBooks POS Online providers regularly back up all your data, you don’t have to worry about data loss even if the system suffers any glitches. On-premise technology can be costly. Retailers need to purchase hardware up front, pay for software license and contract fees for any kind of tech support and maintenance. Doing this for one store is expensive as it is – incurring these kinds of costs for multiple stores can shrink your budget and profit margins considerably. With a hosted POS solution, you don’t worry about hardware costs – you just need to pay a monthly rental fee, which includes everything from QB POS hosting, support, and upgrades. Cloud providers such as Ace Cloud Hosting also provide 24/7 tech support, so you know you are in safe hands at all times. If you want customers to be loyal to your retail brand, you need a system that supports easy integration with customer-centric programs such as gifts and rewards or loyalty programs. Also, your POS system should also be able to support and scale up to future payment technology as and when they are introduced. If you run a multi-store retail operation, in certain locations you might find that customers prefer certain loyalty programs over others or they prefer new payment methods, while in others customer preferences might be different. Selectively upgrading your systems can be counter-productive. You also have to keep in mind that eventually, older technology solutions will become redundant. So how do you counter these challenges? Cloud POS is the answer since it supports easy scalability for any future need. Any future updates or upgrades to the system can be easily carried out cost-effectively. QuickBooks POS Online is an efficient way of carrying out your sales and optimizing the customer experience. With QB POS Online, you can track the inventory of multiple stores at any time of the day and from remote locations. The data is stored in centralized and secure locations to ensure you can always access it without any security concerns. 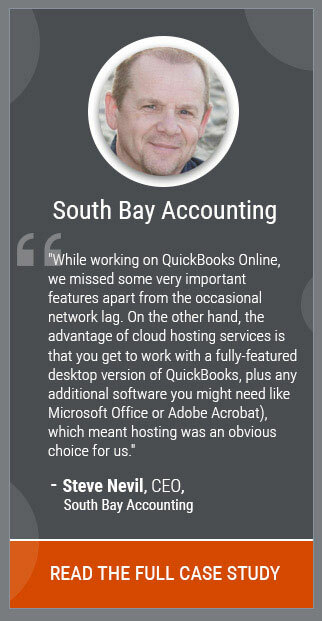 Hosting QuickBooks POS on the cloud helps you save revenue by eliminating the need for on-premise hardware setup. The QuickBooks POS hosting providers offer automatic updates and integration with add-ons so that you can carry out the retail operations seamlessly.